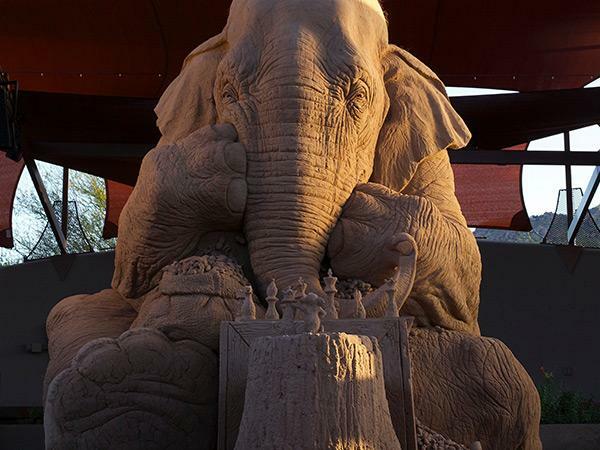 The Town of Carefree welcomed world renowned artist and sculptor, Ray Villafane, back to create sand art like no other within the Sanderson Lincoln Pavilion, Carefree Desert Gardens. This 30 ton masterpiece of the Tortellini Brotherstook 30 days to complete and will stay preserved with a little water and glue lightly sprayed upon it’s surface. The silt was sourced from the Arizona Salt River, filtered, mixed with water and tamped to provide a consistency worthy of sculpting. Where can you visit and take pictures of the sculpture? Michael and Ekaterina Stoyanov are professional artists who specialize in portraits, landscapes, and lifestyles of the American Southwest and European townscapes. Originally from Bulgaria, the couple opened their art studio and gallery in Carefree in 1999. 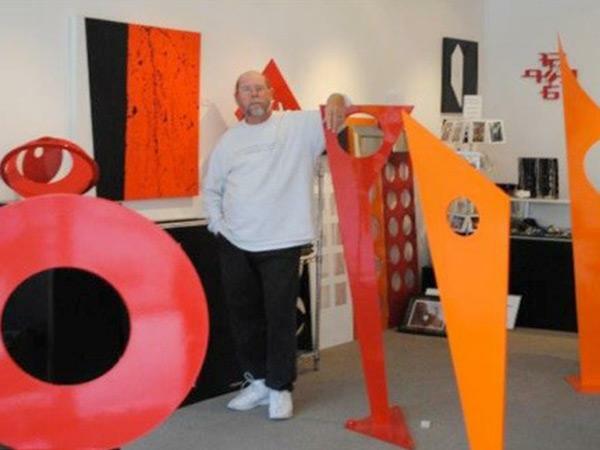 A visit to Ted Phillip Denton’s studio will be a unique experience, offering a variety of contemporary art forms from delicate clay objects, to large scale paintings of bold color and metal sculpture both functional and decorative of all sizes. But most of all, you can choose works directly from potentially one of the most important artists of the 21st century. 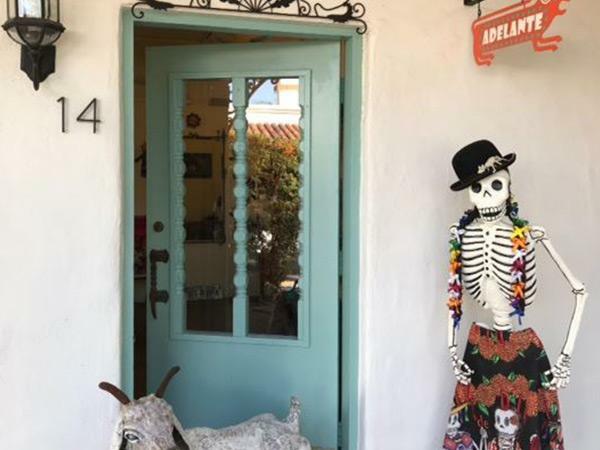 Holly Pagliaro-Bergman opened Wild Holly Gallery 12 years ago in a 660-square foot import gift shop on Easy Street in downtown Carefree, Arizona. Since its opening, the shop has grown from 600 to almost 5,000 square feet and now contains a stunning array of different art mediums and styles. 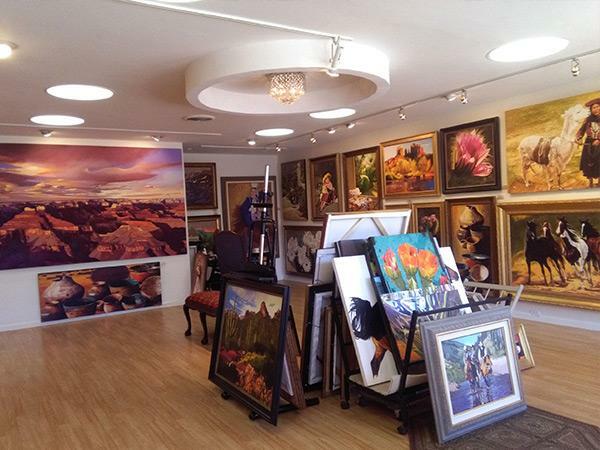 Wild Holly Gallery is proud to showcase the artwork of over 95 American artists. It features the work of both local and nationally known artists. Wild Holly Gallery is proud to showcase the artwork of over 95 American artists. It features the work of both local and nationally known artists. On the weekends, the gallery hosts visiting artists who work there in its studio. 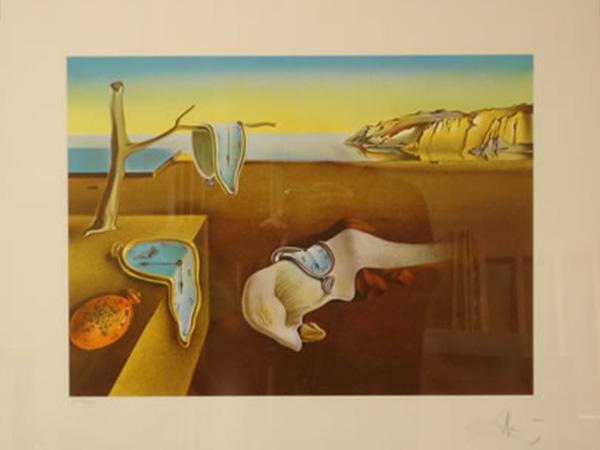 A different artist is featured each month and there are exhibitions during its exhibit season. Wild Holly Gallery is located right on Easy Street, Carefree’s main drag, in the historic Bradbury Building at the corner of Ho Hum Way. The premium source of fine art serving discriminating homeowners, designers, dealers, galleries and corporations. Pieces are available at a fraction of their original price. Over 50 artists represented!